After a lot of thought over a new Apple device, I've come to the realization that the Apple computer that I want does not exist. I think I want an iPad Mini with retina display, but I am holding out for TouchID for my next iOS device. I will probably wrestle with the idea of buying the then equivalent of an iPad Air and iPad Mini again, and also the next generation Macbook Air. For me, blog posting and writing does not come as easy with the iPad, so I either want a new laptop or I will try out the Bluetooth keyboard with the iPad. Even with the Bluetooth keyboard however, I find myself switching from app to app and browser to browser often enough that doing so on the iPad is a little bit of a pain. The Macbook Pro is too much computer for me for what I want to do, any heavy duty work I do is primarily at home, and I use a desktop. The device I want is a light laptop that I have at any place in the house. And selfishly, I want a Retina display to look at because they are so nice. 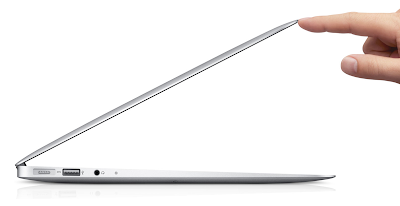 The laptop that I want is a 13 inch Macbook Air with Retina display. It does not exist yet. There is probably going to be a day where the iPad will take over all of my computing tasks, but until then, I am in the market for a less powerful, small and light but Retina screen laptop.